Released in 1997, this album continued to bring Joe’s music to a wider audience both in the UK and overseas. 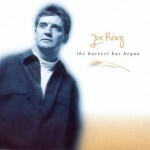 JOY MAGAZINE: Joe King … a singer/songwriter of considerable talent. His songs are mostly quite intense and deeply personal but always positive … of excellent quality … excellent recording and arranging … an album you’ll find helpful during difficult times in particular. KINGSWAY’S WORSHIP CONNECTION: There is no doubt Joe’s ministry in song will continue to change many lives … contemporary praise and worship from the powerful ‘When Jesus Comes Again’ to the intimate ‘Father’. When you receive an album produced by UK’s Chris Eaton you know you’re handling something special. As well as writing and recording several solo albums, Chris has penned songs for the likes of Amy Grant and Cliff Richard, as well as masterfully producing five out of six of Ian White’s gorgeous Psalms offerings plus a host of other ventures besides. 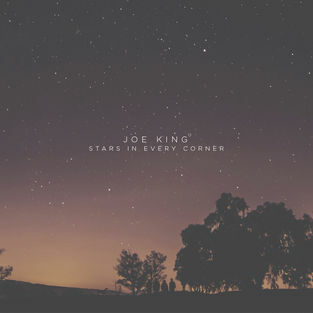 Joe King is a singer/songsmith from North England with a previous solo album, ‘Next to You’ to his name. Here he offers a collection of his own tunes, most fitting into the pop/inspirational category, though there are some wonderful hints of rock-guitar here and there, courtesy of one Morph! Joe’s warm and passionate voice works well as he encourages the listener in his/her Christian walk with songs like the Celtic-inspired ‘Stand your ground’ and ‘Thief in the night’. More intimate moments surface again and again with the likes of ‘Until our hearts beat as one’ and the delicate ‘I still believe in You’. Indeed these reflective occasions see Joe at his best; open, sensitive and full of encouragement. Other notable musicians appearing include the ubiquitous(!) Teryl Bryant on drums and Mike Horton with his sax touch (hear his gorgeous accompaniment to ‘Don’t give up the fight’). As well as this we have Rob Maxwell’s fine violin strokes providing opening elegance to the flowing story-in-song ‘Justin Brown’. The album closes with a fitting upbeat song of praise ‘Jesus, You are Mighty’ containing an infectious country feel. “The Harvest Has Begun” is a worthy follow-up to Joe’s previous output and indeed an album to be proud of. JOE KING : The Harvest Has Begun.